Wollongong Wolves have ended Marconi Stallions’ finals hopes with a comprehensive 3-0 win at Marconi Stadium on Sunday. It was a game to remember for Wollongong’s Peter Simonoski who netted a hat trick in the victory as he denied Marconi the chance of finals football in their first season back in the NSW top flight. The Wolves striker slotted one in the first half before he added a pair of delightful chipped efforts in the second stanza to finish the season with a tally of 12 goals. It was a bittersweet end to the season for Wollongong who displayed the high quality football they are capable of but were unable to consistently deliver this campaign as they once again missed out on the post season.  Knowing they needed to better whatever result Rockdale City Suns produced against Sydney FC, Marconi took the first chance of the contest. James Andrews found space inside the box, but the striker snatched at the chance which saw it sail wide. Playing for pride, Wollongong Wolves put together some nice passages of play in the first half. Nick Montgomery and Simonoski tried a clever free-kick routine that sailed wide. Wollongong would make the Stallions task tougher when Simonoski once again combined with Montgomery and Steven Hayes to open the scoring. A precision pass from Hayes curved into the box and found the striker free on the left to slot home and make it 1-0. Marconi’s attack sparked into brief life after the goal. Sean Rooney put his free-kick the wrong side of the post, quickly followed by shots from Marko Jesic and Andrew which didn’t trouble the keeper as the scoreline remained at 1-0 going into half time. Peter Tsekensis played his cards quickly after the break. He sent on Peter Triantis and Hassan Jalloh to try and revive the stagnant Stallions attack. They continued to stall as the best chance fell to Rooney whose effort deflected wide as the groans grew across Marconi Stadium. Wolves continued to find space behind the Stallions defence. Montgomery burst into the box but was denied well by Stallions keeper Nenad Vekic. Next, Simonoski arrowed his shot wide as the visitors looked more likely. They would find a second in the 77th minute. Some more neat interplay between the attack force, allowed Simonoski to dance into the box before he chipped Vekic making it 2-0 to Wollongong Wolves. Simonoski completed his hat-trick in the 81st, as Montgomery lofted a terrific ball into the path of the striker, Simonoski showed poise to repeat his chip from earlier to finish the Wolves season on a massive high. Afterwards Stallions coach Tsekenis was blunt in his assessment of both his squad this afternoon, and in the important matches across the season. “Truth be said, there have been a few huge games for us this season where I’ve challenged the team to stand up, and show them what they’re made of, they have failed. So I’ll looking at the transfer market for players to win games and play for the big occasion,” he said. “It’s a good season back but not good enough for a club like Marconi. A delighted Jacob Timpano enjoyed seeing his Wollongong Wolves side show that they can compete against the top five, albeit too late in the season. “It’s been a disappointing season for us,” Timpano said.